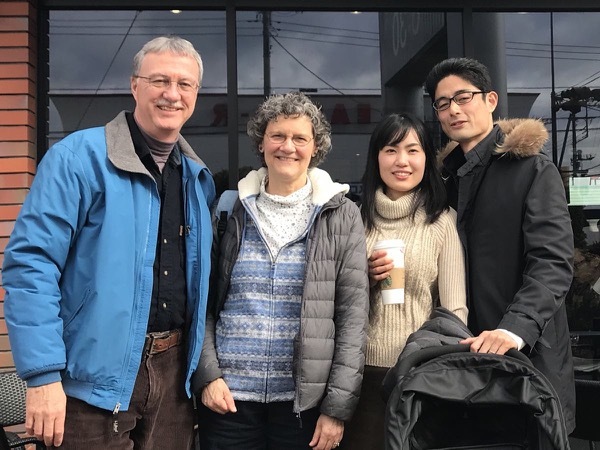 * GIVE THANKS for TMC’s new Japanese pastoral couple, Motomichi & Naoko Harada, who will join us starting Easter Sunday April 21. For a number of years we have been requesting prayer that the Lord provide a future leadership team for TMC, including someone who could focus on our Japanese Department. We rejoice that on Mar 31 our TMC members voted to invite Moto to be just that man. On Apr 4 he accepted the invitation. Moto is a Japanese returnee—someone who has returned from significant time outside Japan—who already has a ministry of leading Bible studies in Tokyo with returnees. After Moto goes through his learning curve at TMC he will help us launch our Japanese language worship service. We look forward to working with him over the next several years. * PRAY that TMC members and attenders will increase their patterns of giving so that we can subsidize Moto. He will be joining us as a bi-vocational pastor with the hope of TMC eventually covering his living expenses. * PRAY for TMC’s Easter events that provide us with an opportunity to once again share about the love and salvation of Jesus Christ: Apr 14 afternoon family outreach; Apr 21 Easter morning worship service followed by afternoon outdoor singing and tract distribution.